Why we love it: Shine bright like a diamond! 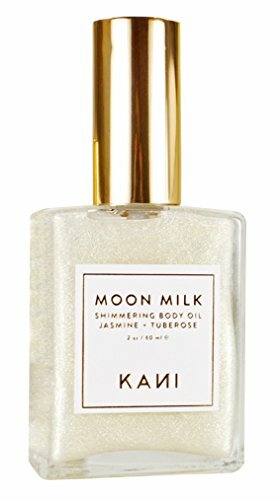 This beautiful, shimmering body oil from KANI Botanicals provides a subtle, illuminating radiance wherever you apply it. It goes on smooth and silky, without being glittery, greasy or sticky. Apply this exotic Jasmine scented oil anywhere you want a bit of radiance-collarbones, the tops of your shoulders and the front of your legs-just to name a few options!